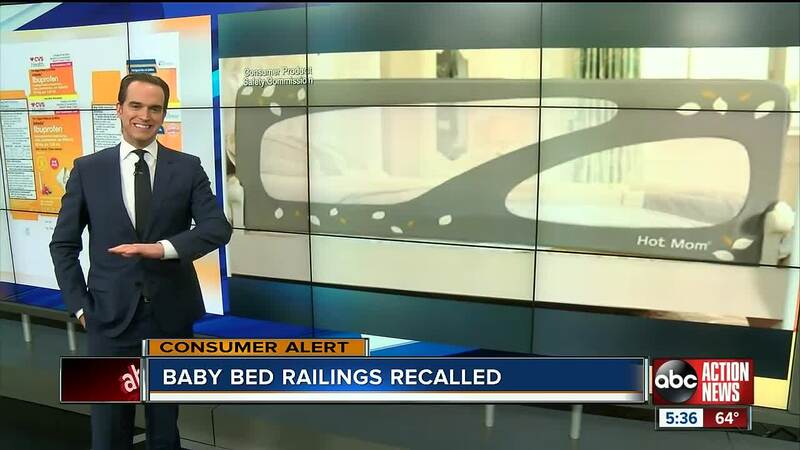 Hot Mom brand bed rails sold exclusively on Amazon are being recalled over suffocation and entrapment hazards, according to the the U.S. Consumer Product Safety Commission. The bed rails were sold on Amazon between March 2017 and August 2017 for $60. Consumers who have them should stop using them immediately and contact Hot Mom for a full refund. The rails are 59 inches long, 25 inches high and 2 inches deep. 'Hot Mom' is printed in the bottom right corner. They have a plastic perimeter with two mesh centers and are sold with a light blue and white cover. You can call Hot Mom toll-free at 855-723-3893 Monday through Friday 9 a.m. to 5 p.m.